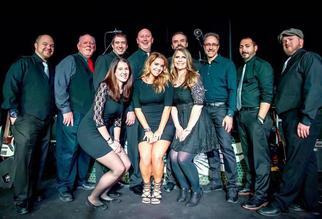 Tradewinds is an award winning NY based 11 piece horn band playing the best of funk, rock, and pop. With five vocalists, a four piece horn section, Tradewinds is one of Long Island's most in demand cover band ensembles. The players can switch gears instantly from Bruno Mars to Luke Bryan, Earth Wind and Fire to Cardi B, and give you the best of the 80s, 90s and todays most listened to artists. They have performed at many of the top clubs and venues in the NY metro area including headlining and return engagements at many theaters in 2018. This is not an act you want to miss. Be prepared for a top shelf show of amazing musicians and performers.